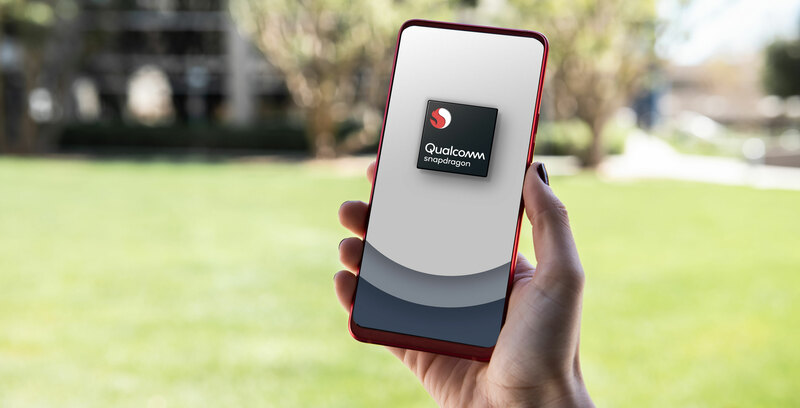 Chipmaker Qualcomm has announced not one, not two but three new mobile chipsets: the Snapdragon 665, Snapdragon 730 and Snapdragon 730G. While the company is targeting different market segments with the 665 and its two 730 chips, Qualcomm says it designed all three of the chipsets with similar considerations in mind: the 665, 730 and 730G are designed to deliver top of their class photography, artificial intelligence (AI) and gaming performance. Of the three new chips, the one we’re most likely to see make its way to Canada is the 665. Built on an 11-nanometre process, the 665 is an upgrade to the company’s Snapdragon 660 chipset. Most famously, the 660 made its way to Canada via the BlackBerry Key 2, which is to say if there’s a Key 3, it’s a good bet it will include the 665. Qualcomm spent a lot of time talking up the 665’s camera capabilities, and for good reason as the 665 sees even more high-end camera features filter down to the mid-range. The 665’s Spectra 165 image signal processor (ISP) can support up to three cameras simultaneously, as well as 5x optical zoom. Alternatively, OEMs can configure their 665 devices to support a single 48-megapixel camera. The idea here is that with a 48-megapixel photo, a 665 smartphone would allow users to crop into a photo without losing much detail. The 665 is also capable when it comes to video. It can capture 4K video at 30 frames per second, as well as 240 frames per second slow motion video at 720p. For good measure, Qualcomm has also included support for multi-frame noise reduction and portrait mode. On the gaming front, the 665 features Qualcomm’s Adreno 610 graphics processing unit. Moreover, in a first for one of Qualcomm’s 600-series chipsets, the 665 includes support for the popular Vulkan 1.1 graphics API. In conjunction with the 665’s CPU, Qualcomm claims the Adreno 610 can deliver 60 frames per second gameplay on games like Arena of Valour, a popular MOBA style game. With its third-generation AI engine, Qualcomm claims the 665 is twice as fast at completing AI-related calculations compared to its previous generation Snapdragon 660 chipset. In terms of connectivity, the 665 features the company’s X12 LTE modem. The X12 is a Category 12-certified modem with support for three-carrier aggregation and 64 QAM. It can achieve theoretical download speeds of 600Mbps. To put those features in perspective, most of Canada’s nation-wide networks feature corresponding capabilities that meet or exceed the top-end capabilities of the X12. Bell, for instance, has supported four-carrier aggregation and 256 QAM, upgrades on three-carrier aggregation and 64 QAM, since partway through 2017. All of that to say, any 665 devices that come to Canada will be able to push their X12 modems to the limit. In addition to Cat 12 LTE, the 665 features Wi-Fi 802.11ac as well as Bluetooth 5.0 connectivity. The 730 and 730G are a little harder to get excited about if only because the 710 and 712, the first two 700-series chipsets Qualcomm announced, didn’t make their way to North America. However, Kedar Kondap, vice president of product management at Qualcomm, said it’s more likely 730 devices make their way to the Western Hemisphere. Still, whether it makes its way to Canada or not, the 730 and 730G are notable for representing a number of firsts for Qualcomm. They’re the first chipsets outside of the company’s new 855 flagship to feature its Spectra 350 image signal processor (ISP). When Qualcomm announced the Spectra 350 alongside the 855 late last year, it described it as the world’s first computer vision ISP. That’s because the Spectra 350 features a first-of-its-kind design that allows it to complete any computational photography-related tasks without involving the CPU and GPU. In this way, not only is the Spectra 350 more power efficient when completing tasks like creating a portrait mode image, it enables features that weren’t previously possible with past generation ISPs. For instance, one of the more interesting features the Spectra 350 enables is depth of field mapping at 60 frames per second. This allows the 350 to add background bokeh to videos. Other notable firsts for the 730 and 730G are that they’re the first 8-nanometre chips from Qualcomm. They’re also the first chipsets outside of the 855 to include support for Qualcomm’s new aptX Adaptive Bluetooth codec, which the company announced last summer. Support for aptX Adaptive is one of the cooler features Qualcomm has been bundling in with its recent chips. The codec features an algorithm that automatically adjusts the bitrate of an audio stream — based on RF interference and application type — to ensure there’s a constant and stable connection. On the connectivity front, the 730 and 730G are Wi-Fi 6 ready and their X15 modem is capable of theoretical download speeds of 800Mbps. In short, the 730 and 730G read almost like a greatest hits of features from the company’s more well-known 800 series of chipsets. The one major difference between the two chipsets is that the 730G features additional gaming-focused features. According to Qualcomm, the 730G is 15 percent faster at rendering complex graphics than the 730. It also includes select Snapdragon ‘Elite’ Gaming features, the most notable of which is support for HDR gameplay. All three of the system-on-a-chips Qualcomm announced will arrive in consumer-facing devices starting later this year, with the two 700-series chipsets slated to arrive first sometime in the spring.